You are here: Home / Business Skills for Artists / Should You Use Patreon or Take Payments on Your Own Site? 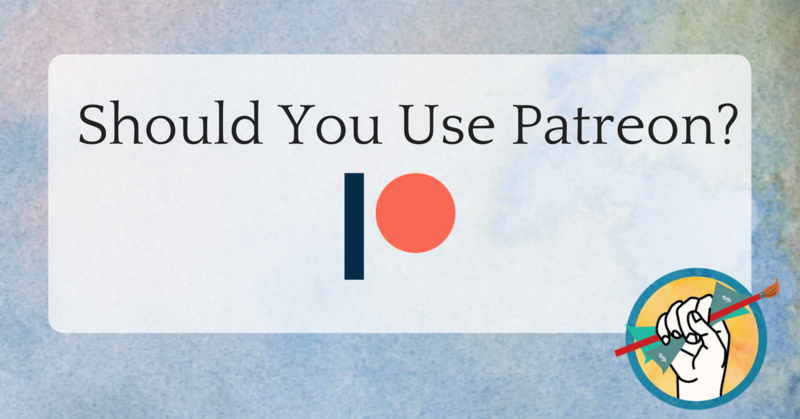 Should You Use Patreon or Take Payments on Your Own Site? The primary purpose of the recurring payment platform is to enable a creator to build a base of patrons who will support them on an ongoing basis. The model of subscription-based crowdfunding has been a game-changer for creatives. But it doesn’t come without caveats. Patreon and other similar platforms will take care of chargebacks and declined payments to protect the creator. They allow the creator a pretty well built-out profile, which functions as the hub of activity and interaction between creator and contributor. Community pages on Patreon are cool and allow contributors direct access to the creator to ask questions and give feedback. You pay a percentage of your income to Patreon- 5% directly to Patreon, and another 5% or so in processing fees. Here’s the big one: the risk when you depend on a 3rd party platform for your entire livelihood is that you are at their mercy. This was a risk felt sharply by the YouTube community when it began mass demonetization of videos to appease advertisers, an example that illustrates perfectly why it’s incredibly risky as a creator to depend entirely upon a 3rd party platform for your income. If the platform changes their fee structure, as Patreon recently attempted to do, you may find yourself losing patrons at an alarming rate. Patreon recently announced a change to their fee structure that charged contributors a fee for every separate subscription they maintained on the site. This meant that patrons with a high number of small monthly payments to creators would be charged a monthly fee for each individual subscription. There was a massive public outcry and Patreon rescinded the change, but not before many angry patrons withdrew at a significant cost to creators who depend upon a high number of low payments for their livelihood. Patreon is a well-known giant and pioneer of the subscription-based crowdfunding movement, but that doesn’t mean that it’s your only option. Using a third-party such a Patreon to manage your subscribers may take some of the guesswork out of setting up payment plans as well as providing some cool features, but it comes at the cost of not truly being in charge. Just ask the hundreds of creators who lost subscribers on Patreon. Meanwhile, with some planning and up-front work you could set up your own website to accept recurring payments, and reap the same benefits as joining Patreon with added independence from extra fees and policies made to benefit the company rather than the creator. There are many payment portals that allow easy set up of recurring payments, including Stripe, Square, and Paypal, all of which integrate easily with popular website platforms like SquareSpace and WordPress. Why aren’t more artists doing this? It likely comes down to the visibility and convenience of platforms like Patreon, and a feeling of intimidation at setting up your own system. But you don’t have to know how to code to do it. 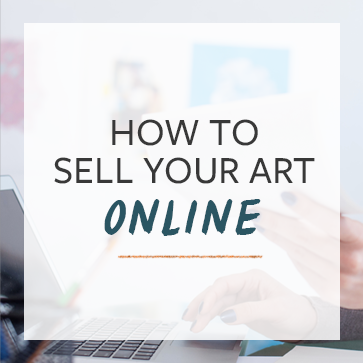 If you can set up a good website for your art business, you can set yourself up to receive recurring payments. Do you use Patreon or another subscription-based crowdfunding platform for your art business? Have you considered making the switch to taking payments directly on your own website? If not, what’s stopping you? I’m using Patreon but I haven’t had much success with it. So at the moment, it feels like more work than it’s worth. I sell my art through my website so I haven’t thought of taking donations there too. We created our own Patron program for my recording artist wife Amanda Vernon. See it here: amandavernon.com/patron. We used Moonclerk (which is build on top of Stripe) and embedded it into our site. Note: I’m not a programmer, but did need to learn “Liquid” programming language a bit and my programmer brother helped me make the nice looking signup graph with CSS on our Squarespace site (but I found the chart template somewhere online for free). So, no advanced coding, just some research and logical thinking. The main reason we did it ourselves is because we wanted people to be able to signup as patrons EASILY and FAST at my wife’s merch table at live events. There are quite a few steps for someone to signup on patreon and support an artist, and small delays are a big deal at live events with lines at the merch table. So, we made the signup super simple. All patrons need to give us is name, email, cc # (we also ask for zip and date of birth). Thank you David Shaheen. This is the most helpful info on actually setting up a nice alternative to Patreon on your own site, as opposed to just a “donate” button, that I can find on the entire internet. Google no longer even recognizes the word “patron” in the context of search for this type of information…just thinks it’s a misspelling!! The page you made for Amanda’s site looks great. Thanks again for taking the time to share this. I think the idea of Patreon wasn’t just about offering a way to take recurring payments on the artist side, but a way to easily aggregate those payments on the “Patron” side. For example, if a patron wanted to pledge $1,000/mo to support the arts, Patreon would be one charge and the patron could spread that money over multiple artists. With setting up recurring payments with Stripe et all, that would be potentially multiple small payments the patron had to deal with every single month, instead of one lump sum. Whether this has panned out in practice or not, I have no idea. I see your point about making it easy for patrons. But, I’m looking at it from an artist first mentality, not the “how can I find a way for people to support many artists in the most cost effective way.” My wife is a recording/performing artist, and the issue with Patreon sort of what you are getting at….they want to build a platform with lots of users (patrons and creators) bc the more of those, the more money that changes hands. I’m not saying they are not great for creators, but as my wife’s manager, I have a different view. For people who come to her concerts, my goal would be to signup interested patrons afterward easily at the merch table with as little friction as possible. Patreon does not allow this. I am not thinking “how can I make it easy for these people to support multiple artists in an efficient way to miniumize the transaction fee from Stripe. And, I would argue, Amanda’s fans are not thinking that either. So, that is why we created a custom patron plan for her using Moonclerk (built on top of Stripe) and embedded in our site. I used minimal programming to put it together. Admittedly, it’s not as slick as Patreon in looks on in managability, but we can sign people up easily at live events with only name, email, and CC. No accounts need to be created, no email verification, no finding Amanda on patreon (imagine an older person doing all this as people waiting in the merch line decide to leave bc it’s taking too long). So, we came at it with an “artist first” approach. And, I think it’s been very simple for patrons too. You forgot the third con for Patreon. The website has a loophole. Patrons weren’t charge first so it makes it easier for people to fake pledge and then access all of the content and withdraw their pledge. Of course, this will not happen if you just use Patreon as a tip jar with no extra exclusive content. Patreon does have a upfront charge feature but it wasn’t open for every creator. Also Patreon does not give much visibility to the artist within their website. It is the artists who had to market their Patreon in order to get funding. So the artists with barely any following will not get anything. I think they fixed this issue by charging right away if I’m not mistaken. They made it optional for the creator. I have a website and have already gone through the hoops of setting up online payments and everything, and even have an online course that I’ve been selling, and am even still now considering patreon, for this reason. I’m a one man show, and people enjoy the sheer warm feeling of helping an artist, and will stick around because they feel a part of the creative process. If you do it on your website, it feels more like a business transaction. It takes away the connection between artist and patron and becomes a business deal between buyer and seller. Honestly, I’m still not sure which route to go, but I thought I should make that point, because it’s been a major concern of mine. That’s a good point. I’m not a content creator, and have honestly not thought of it that way. As a person who thinks rationally (not trying to be rude, I just mean if I’m going to spend money to support a person, I’d much rather support them directly, than through a third party option). I would really suggest trying to stay out of third party options, especially if you have it already set up… maybe stress the point that they are supporting you directly, and the best way to do so is through your site. It might be more work than it’s worth, but if you could easily set up content yourself AND on Patreon, it might be worthwhile to set up both, with the same benefits.. and stress your payment is better, but Patreon is still an option. Thought here is that if Patreon ever becomes an issue (like it most likely will) you can jump ship, and still be set up to continue. I found this information really helpful. I like that you show both pros and cons. My biggest takeaway will be about relying on the 3rd party and the risk that could have on your business. Thanks for the great info and keep up the good work! I’ve been obsessing about Patreon ever hearing about a writer friend who is almost making a living off of it. I want to get straight to my patrons and offer them my writing–without a big-name publisher’s permission in order to do so. But another friend just looked at me like I was crazy and said, “Why not just offer it on your own website?” And so now I’m thinking, why don’t I? Either way, I like to be prepared, so whether it’s a Patreon or a subscription-based service on my own website, it won’t happen for a couple of months. To me it feels like a “if you can do it, do it yourself”. I think the major reason to do it yourself is because Patreon does very little to actually advertise for you, so it’s not like your missing out on exposure. It’s literally just the mechanics of subscription payments… That’s not exactly a small feat, but if you are capable of putting in some effort and time, the differences in the end would be very minimal.. and those differences would mainly be “more money” and “full control”.. That said I haven’t looked at the options out there, an example someone used is in a comment above… but it seems that there are options, and fairly simple ones. Patreon just seems like it’s cashed in on fact that most people don’t want to bother making a website and struggling with learning how to create a payment system… not that it offers much more in terms of benefits… and inevitably, when the investors find its time to cash in, these platforms become less and less beneficial for creator or patron. There may be another issue: taxes. I’m still trying to figure out what would most accurately report the nature of the income. If you have a feed on Patreon with a minimum $5 to access your content, but a patron gives $20 and gets no additional access or rewards– that $15 is really a personal gift (since the patron isn’t getting anything extra for it). But if it’s run through Patreon, it all looks like business income. Does anyone have any thoughts/experience with this? I would love to know the same.